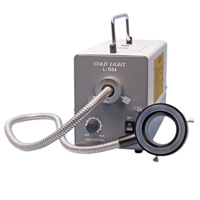 6W LED illuminator - directed it;s mustache type illuminator equipped with a passive cooling and cold ( 6400K ) LED light source . 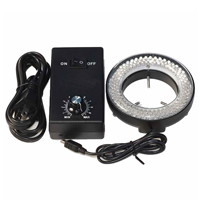 Back light LED-60T ring lamp is device equipped with 4 zones backlight and 60 LEDs with a power of 6.5 W corresponding halogen 65W with adjustable light intensity. 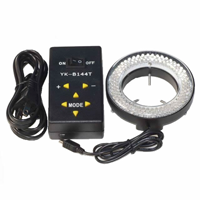 Back light LED-144T ring lamp (YK-B144T) is device equipped with 4 zones backlight and 144 LEDs with a power of 4.5 W corresponding halogen 45W with adjustable light intensity. 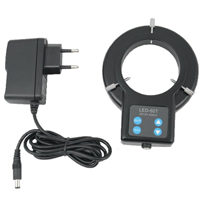 Back light LED-60 ring lamp has control of light intensity. As the only one in his price range is up to 60 high-quality LEDs. 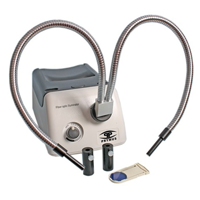 In other models, the light intensity back light controller is located a ring casing. 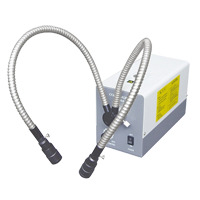 This solution makes it impossible to installation of equipment in many types of microscopes. 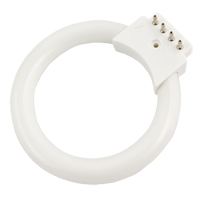 In this ring lamp used an external power module with adjustable which greatly reduced the size the device. 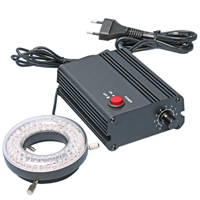 Back light LED-64 ring lamp (YK-S64T) is a device equipped with 64 LEDs with a power of 3.8 W with adjustable light intensity. 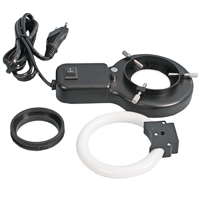 Back light ring lamp SZM-RL is device equipped with a special fluorescent lamp fluorescent shadowless. 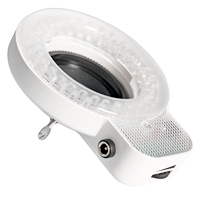 Back light TY-AB-60 LED is a device equipped with 60 LEDs with a power of 4,5 W with adjustable light intensity. 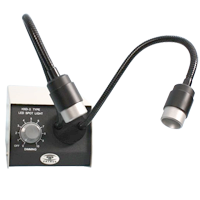 Bulb lamp for self light XTL4/6 it's additional bulb used in self light in microscopes.